More Aggressive! Faster Penetrating Action! 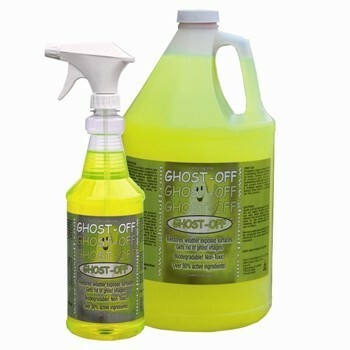 Use without heat! Just apply, wait 60 seconds, and pull off both vinyl and adhesive off together. 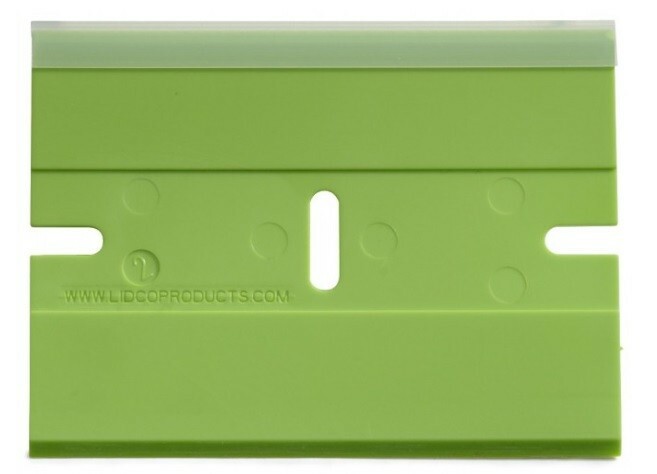 Jumbo 3'' X 4'' plastic razor blade to aid in removal of vinyl from a variety of surfaces that is chemical resistant. Strong, double edged blade with removable protector. Jumbo 3'' X 4'' plastic razor blade to aid in removal of vinyl from a variety of surfaces. Strong, double edged blade with removable protector. 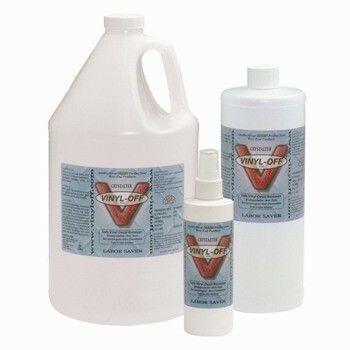 Vinyl-Off 10-4 is designed to remove vinyl safely and quickly.